Alianna joined Pinnacle Healthcare Consulting in 2013. As an analyst, she supports Pinnacle’s health care physician compensation division. 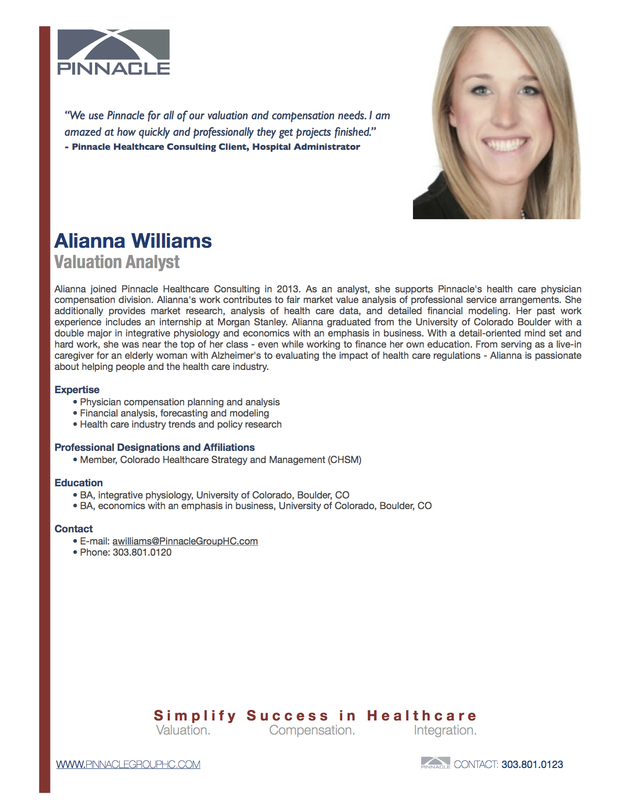 Alianna’s work contributes to fair market value analysis of professional service arrangements. She additionally provides market research, analysis of health care data, and detailed financial modeling. Her past work experience includes an internship at Morgan Stanley. Alianna graduated from the University of Colorado Boulder with a double major in integrative physiology and economics with an emphasis in business. With a detail-oriented mind set and hard work, she was near the top of her class – even while working to finance her own education. From serving as a live-in caregiver for an elderly woman with Alzheimer’s to evaluating the impact of health care regulations and the economic influences – Alianna is passionate about helping people and the health care industry. 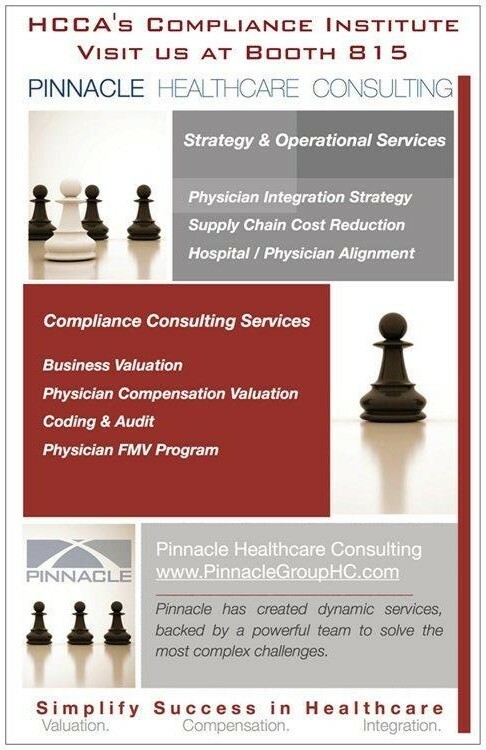 Visit Pinnacle Healthcare Consulting at HCCA’s Annual Compliance Institute! 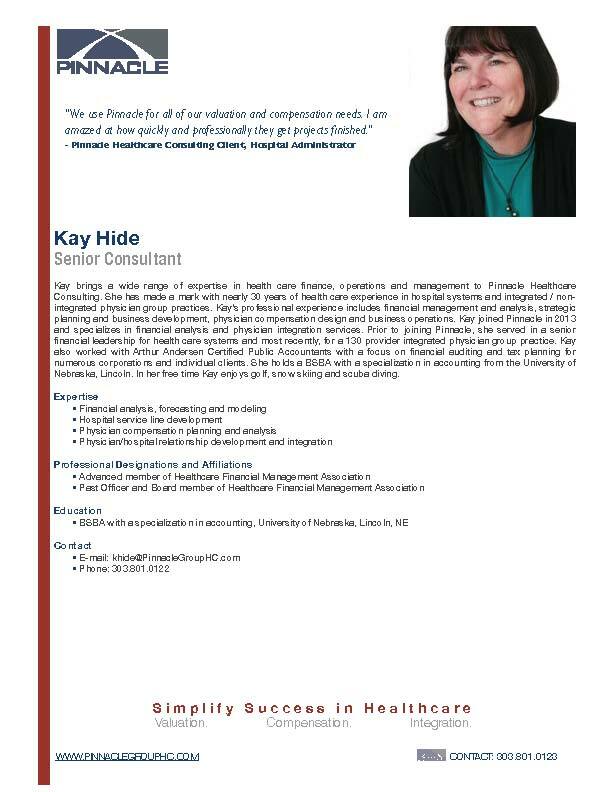 Pinnacle Healthcare Consulting welcomes Kay Hide as a Senior Consultant to our growing team of consultants! Kay brings a wide range of expertise in health care finance, operations and management to Pinnacle Healthcare Consulting. She has made a mark with nearly 30 years of health care experience in hospital systems and integrated / non-integrated physician group practices. Kay’s professional experience includes financial management and analysis, strategic planning and business development, physician compensation design and business operations. Kay joined Pinnacle in 2013 and specializes in financial analysis and physician integration services. Prior to joining Pinnacle, she served in a senior financial leadership for health care systems and most recently, for a 130 provider integrated physician group practice. Kay also worked with Arthur Andersen Certified Public Accountants with a focus on financial auditing and tax planning for numerous corporations and individual clients. She holds a BSBA with a specialization in accounting from the University of Nebraska, Lincoln. In her free time Kay enjoys golf, snow skiing and scuba diving. Season’s Greetings! 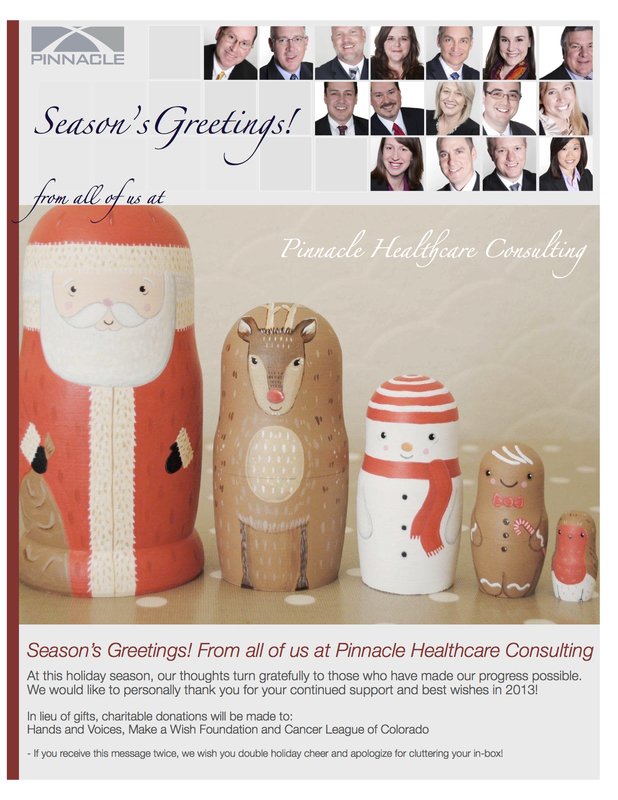 From all of us at Pinnacle Healthcare Consulting. At this holiday season, our thoughts turn gratefully to those who have made our progress possible. We would like to personally thank you for your continued support and best wishes in the new year! In lieu of gifts, charitable donations will be made to: Hands and Voices, Make a Wish Foundation and Cancer League of Colorado. Summary. Patient demand forurgent care centers is increasing and as a result transaction volume is also increasing. Often with physician ownership, the fair market value of the subject center is required to determine a transaction price. This article examines the market and demand for urgent care center services and reviews the methods to determine the fair market value of a healthcare business. UCC Overview. Urgent care centers (UCCs) have operated in the U.S. for over 30 years. There are an estimated 8,700 UCC facilities in the U.S. according to the Urgent Care Association of America, of which 4,500 are certified urgent care centers, and about 300 new facilities open each year. The U.S. healthcare system faces issues with access to care, increasing patient needs, growing demands on primary and emergency care systems, and rising costs. Urgent care is intended to improve access and lower costs. The majority of UCCs provide services in episodic primary care, occupational medicine, routine immunizations and school physicals, and at least half of them also provide lab tests, x‐rays, fracture and laceration care, and IV fluids. UCCs are typically open significantly beyond standard 9 – 5 office hours, including nights and weekends. Urgent care centers are owned by physicians, physicians groups, hospitals and corporations. They are typically staffed with physicians, with approximately half also employing physician assistants and nurse practitioners as additional providers. Demand. The urgent care center industry represents one of the fastest-growing segments of the American healthcare system. With rising wait times for both primary and emergency care providers, urgent care centers have become an increasingly viable alternative for patients. The UCC industry is expected to continue expanding over the next several years. One of the main factors driving growth for the industry is increasing demands made on primary care providers. Additionally, the Affordable Care Act will begin to take effect in 2014, expanding insurance coverage to millions of people by 2019, which will result in more demand for services that are offered at UCCs. The UCC service model is highly favored by many different user groups: college age – for those without insurance or a selected primary care physician, uninsured – because they know what the cost is up front, suburbanites with families to care for after the working day is over and seniors – who do not want the wait time they would otherwise experience in an emergency department. Challenges to newcomers. Barriers to entry in the UCC industry are high. Barriers include regulatory hurdles and the up-front costs to establish an urgent care center. It is more difficult to enter the industry because urgent and unscheduled healthcare services require more highly trained and diverse staff, more costly equipment and more licenses than scheduled healthcare services. Regulation can represent a major barrier for establishing urgent care centers. The healthcare industry is subject to regulation by federal, state and local governments. States with certificate of need programs place limits on the construction and acquisition of urgent care centers and the expansion of existing urgent care centers and services. Operational challenges. UCCs are not immune from operational challenges. Urgent care centers are affected by seasonality – busy during flu season but not as busy during healthy summer months. 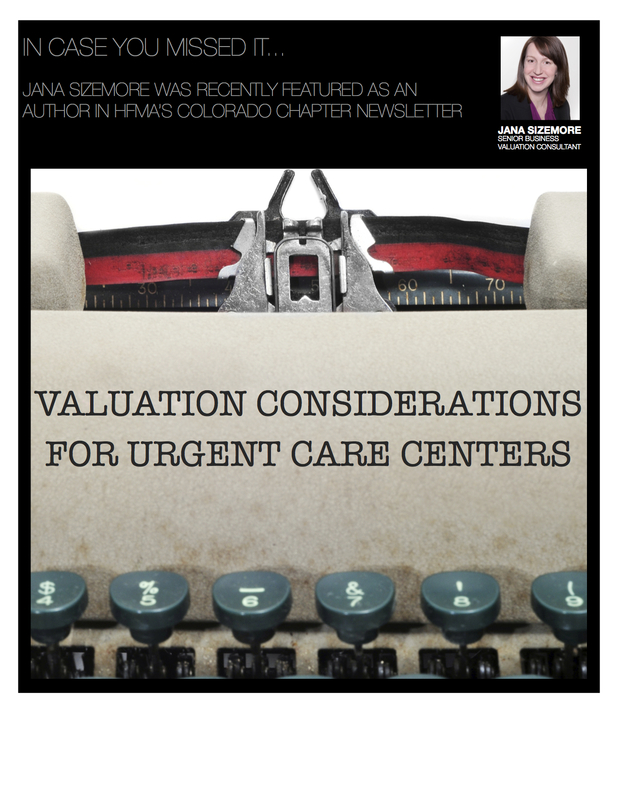 UCCs are affected by the high fixed overhead costs of staffing and office space. Similar to other healthcare facilities, lower utilization results in significantly low profits. Acquisitions. UCCs may make more sense if they are owned by healthcare or hospital systems, insurance providers (e.g., Humana’s 2010 acquisition of Concentra Inc.) or large chains that can either support such businesses as a part of the overall continuum of care or absorb the overhead by running multiple facilities. Organizations with ready access to capital are in a good position to acquire unprofitable UCCs, and occasionally, at bargain prices. In cases where physician ownership is involved, these transactions must be consummated at fair market value to avoid running afoul of Stark and Anti-Kickback regulations. Fair market value. Three-approaches to the valuation process may be applied to calculate the fair market value transaction price: the asset-based, income and market approaches. The income approach determines the value of the business is equal to the present value of the future benefit stream to the owners. The asset-based approach estimates value by valuing each asset class of the business separately and then summing them up to derive the total value of the enterprise. The market approach makes use of guideline companies traded on a public stock exchange allowing for a comparison to be made between pricing multiples of the public companies and the multiple deemed appropriate for the subject company. Also, multiples may be determined from transactions of entire companies that have been bought or sold in the marketplace. The first step is to examine the historical financial statements (e.g., income statement and balance sheet). The income statement should be studied closely to determine whether physician provider compensation is included in the expenses or if it is considered “below the line”. If the UCC appears to be profitable before physician compensation is allocated, the business may in actuality be generating a net loss. When a business entity, such as a UCC, is not a viable going concern it is appropriate to calculate value using the asset approach. If the UCC is a viable going concern one would apply the income and / or market approaches to determine the entity’s fair market value. The asset-based approach is typically used when the business is no longer considered a going-concern business, a business that will operate into the foreseeable future, or if physician compensation consumes all of the excess profits of the business. Assets commonly considered in the valuation of a UCC are: medical equipment, computer hardware and software, office equipment, office furniture, leasehold improvements, supplies inventory, trained and assembled workforce in place, trade name, contracts, and real estate. Assets typically excluded from the analysis are cash and accounts receivable since these assets typically are retained by the seller. Medical records add marginal value and are typically not considered given the single episode nature of patients seen. The income approach is used when the business is considered a going concern. The most common method under the income approach is the discounted cash flow (DCF) method, which relies on projected estimates of future benefits. These benefits are converted to value by applying a discount rate and using present value procedures. An advantage of using the DCF method is the ability to capture various potential outcomes such as future growth or decline, changes in reimbursement, and variable expenses such as provider staffing levels. As previously mentioned the market approach may be applied to determine a pricing multiple through the comparison of guideline publicly traded companies or guideline merger and acquisition transactions. According to a publicly traded company screen using S&P Capital IQ, there are no publicly traded urgent care centers or businesses with the sole purpose of owning and operating urgent care centers. However, there have been several guideline mergers and acquisitions in recent years according to a transaction screen using S&P Capital IQ and data available through Irving Levin Associates Inc.’s The Health Care Services Acquisition Report (published annually) and The Health Care M&A Report (published quarterly). Although several transactions have occurred, not enough pricing information was made available to develop a multiple. Therefore, it is common for valuation professionals not to use the market approach when valuing UCCs. Synergistic value. We discuss the methods to determine the fair market value of a UCC but also want to recognize value beyond FMV. The synergistic value is the value to a particular buyer who has the ability to create additional benefits of ownership not available to a financial buyer through synergies unique to that buyer. Synergistic value to a healthcare system may come in the form of control over patient flow. For a commercial insurer, patient access to healthcare is beneficial to its core business model. Synergistic value may come in the form of economies of scale and inorganic growth for a small privately held owner and operator of (other) UCCs. Conclusion. Urgent care centers should continue to see increased utilization due to their lower cost and more efficient patient throughput. These strong growth prospects make them popular acquisition targets for larger healthcare entities. When there is physician ownership of the UCC, it become essential that buyers have a well documented and defensible fair market value opinion to support the transaction price. About the author. Jana Sizemore is a Business Valuation Consultant with Pinnacle Healthcare Consulting. She may be contacted at 303-801-0107 or jsizemore@pinnaclegrouphc.com. The information presented in this article is intended for general informational purposes and does not constitute the provision of legal advice. The views set forth herein are the personal views of the author and do not necessarily reflect the views of Pinnacle Healthcare Consulting. Pinnacle Healthcare Consulting wishes you a relaxing Thanksgiving with friends and family! Though a single day is set aside, the thankfulness is year-round. The Pinnacle Team is grateful for your friendship and business. 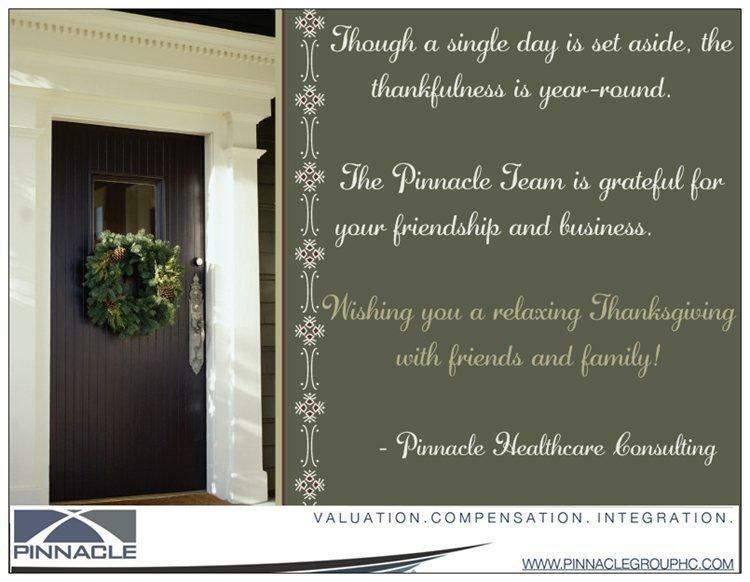 Pinnacle Healthcare Consulting wishes you a relaxing Thanksgiving with friends and family! What will it take to succeed in the era of reform? What can we learn from the past? The new Colorado Health Insurance Co-Op recently received $69 million in federal funding to establish what’s being called a new kind of health plan—by the people and for the people. The Co-Op promises sharply competitive pricing and benefits, an obsession with customer service, a commitment to underserved rural areas, policyholder ownership and board seats for consumers. How the new Co-Op emerged, who’s behind it and how it intends to reach its goal. What’s required of co-ops from a state and federal regulatory perspective; the similarities, differences and innovations among co-ops nationally. How all of this compares to Colorado’s earlier co-op experiences—what’s different this time, what were the hurdles of the past, and what advantages do new co-ops have today? Claire Brockbank is the founder and principal partner of Segue Consulting, a healthcare strategy and business development firm. In the early ‘90s, Brockbank was Vice President and interim CEO of the Colorado Health Purchasing Alliance. During her tenure she conceptualized, designed and implemented the nation’s first voluntary private sector healthcare insurance purchasing cooperative (Cooperative for Health Insurance Purchasing – CHIP), integrating large and small, insured and self-insured employers. Brockbank also served as an Advisory Board member of the American Academy of Health Purchasing Cooperatives. Barbara Yondorf, MPP is President of Yondorf & Associates, a health policy consulting firm. Barbara served as Co-Chair for the Federal Advisory Board on Consumer Operated and Oriented Plans (Co-Ops) for CMS, which was assembled to develop regulatory guidelines for the Co-Op program as authorized by the Accountable Care Act. Barbara currently serves on the board of directors of the Colorado Consumer Health Initiative. She previously held senior positions with the Colorado Division of Insurance, the National Conference of State Legislatures, and the Colorado Department of Health. Gary Montrose is principal of Healthcare Strategies, LLC, a consulting practice focused on business development in disease management, shared decision making, care management, long term care and other consumer engagement initiatives, supporting clients in more than 40 states over the past 25 years. *Help us shape this program to your interests. Submit your questions to our moderator: board.president@chsm.org. Faced with a rapidly changing healthcare market, Dr. Vasu Rangadass founded Net.Orange in 2006 to create a virtually integrated care delivery platform that would transform the business of healthcare amid the challenges of mandated industry reform. Coordination of patient care and integration of services across multidisciplinary teams enables hospitals, physician practices, community providers, employers and support teams to effectively manage patients and information. Learn about the journey that took this timely new idea from concept to adoption by an industry that is mindful of compliance, must meet the needs of multiple stakeholders and can be resistant to change. This promises to be a fascinating event! Program Speaker Vasu Rangadass, Ph.D., Chief Executive Officer and Founder of Orange.Net. Program Details Registration, Breakfast and Networking 7:00 a.m. – 7:45 a.m. Presentation 7:45 a.m. – 9:00 a.m.
Pre Registration Register by June 1, 2012 to save $10. Dr. Vasu Rangadass, Ph.D., CEO and Founder of Net.Orange, leads a team building applications in use by over 1000 providers treating over 2 million patients. Prior to this, Dr. Rangadass was the first employee of i2 Technologies, a global company that revolutionized the supply chain market through the unique application of Six-Sigma principles, operations research, and process optimization. He holds several patents in master data management, enterprise software, and workflow management, as well as extensive process experience with clients such as Dell, Pepsico, Samsung and Walmart. Dr. Rangadass holds a Ph.D. in computer engineering from the University of Texas. 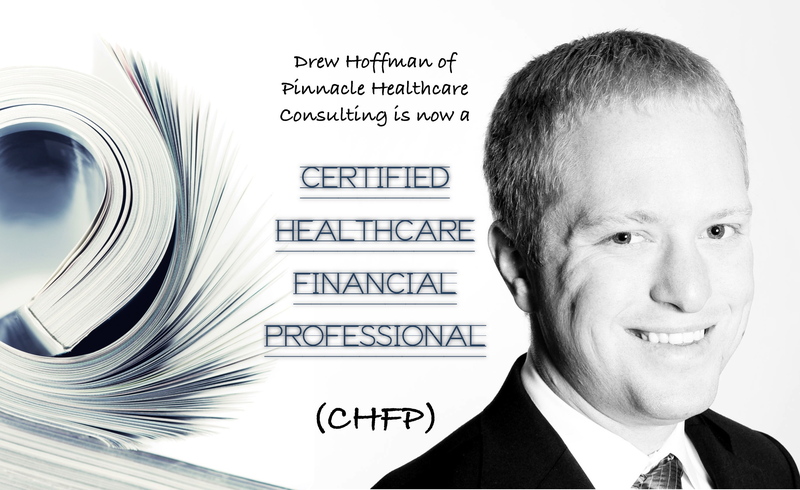 Drew Hoffman of Pinnacle Healthcare Consulting is now a CHFP! 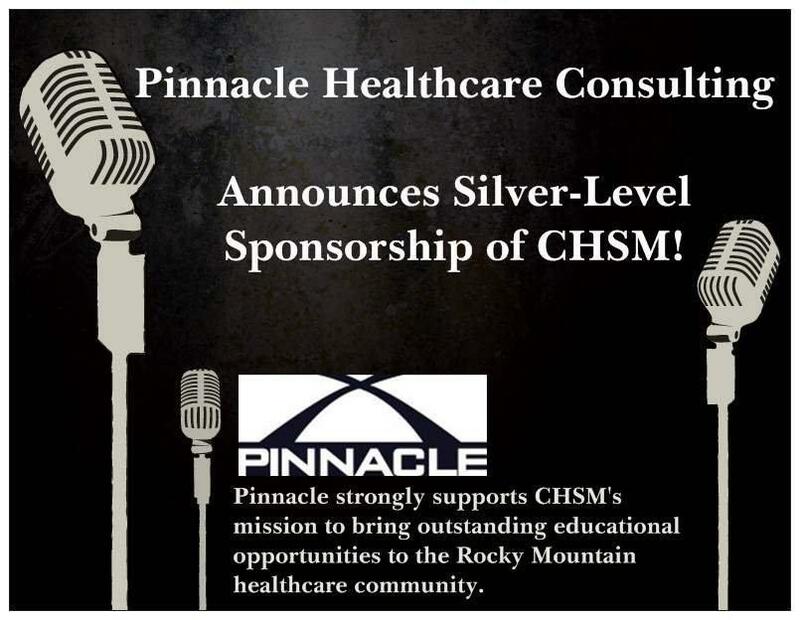 The Pinnacle Healthcare Consulting Team would like to congratulate Drew Hoffman, Senior Analyst, for successfully completing the Healthcare Financial Management Association (HFMA), Certified Healthcare Financial Professional (CHFP) Exam. The CHFP certification is designed for mid-level healthcare professionals with a minimum of three to five years of management experience in U.S. healthcare provider operations. CHFP certification demonstrates qualifications to senior management, co-workers, and the industry—highlighting commitment to the profession and to maintaining up-to-date skills and knowledge. Providing professional development through education, information, certification, peer interaction, and leadership training. Influencing healthcare financial management and accounting policy decisions, principles, and practices through advocacy and dissemination of information. To find out more about the Colorado HFMA Chapter, visit Chapter Information area. Drew joined Pinnacle Healthcare Consulting during the Summer of 2010. 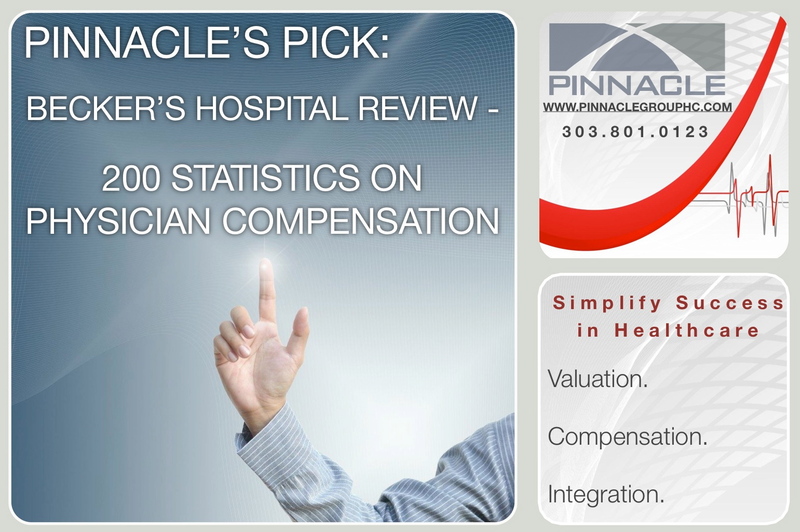 As Analyst, he supports Pinnacle’s healthcare physician compensation, valuation and appraisal divisions, with a focus on fair market value analysis of professional service arrangements. He additionally provides market research, financial analysis and business plan development. Prior to joining Pinnacle, Drew interned at Arthur J. Gallagher & Co., a company known as one of the world’s largest insurance brokerage and risk management service firms that provides a full range of retail and wholesale property/casualty (P/C) brokerage and alternative risk transfer services, as well as employee benefit brokerage, consulting and actuarial services. During his time at Arthur J. Gallagher & Co., he created a 401k portfolio performance benchmarking template, composed requests for proposal and insurance renewal materials and participated in a regional intern project. In his free time, Drew enjoys participating in outdoor activities such as wake boarding and playing softball. Drew additionally enjoys attending listings on the silver screen when he is not participating in Colorado’s outdoor recreation. * Content written by Bob Herman, April 30, 2012 and directly quoted from Becker’s Hospital Review – 200 Statistics on Physician Compensation. To View the Direct link, please visit Becker’s Hospital Review. The Physician Fair Market Value (FMV) Program dramatically reduces the complexity of determining fair market value for physician compensation. It builds internal capacity and gives hospitals more control over the process by providing proprietary tools and powerful information to help make defensible decisions about physician relationships. Over 200 hospitals and healthcare organizations have found that the Physician Fair Market Value (FMV) Program empowers users to make smart and supportable decisions with regard to physician compensation and fair market value matters. The Physician Fair Market Value (FMV) Program’s key benefits include: Hospitals using the Physician Fair Market Value (FMV) Program immediately possess greater knowledge on which to base physician contracting decisions, the reliability of a proven physician fair market value analytical methodology and improved capacity to manage / document compensation and other contractual terms. Furthermore, Physician Fair Market Value (FMV) Program support includes: training, ongoing coaching, technical support and focused consulting (if necessary).